Wooden Venetians are available in 25mm 35mm 50mm and 63mm slats. 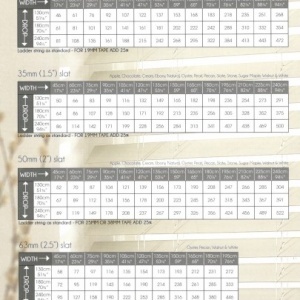 There are made to measure for your specific sizes. The perfect blind solution for any room in a vast range of colours. For more information please call the shop on 01243 839850 or email.